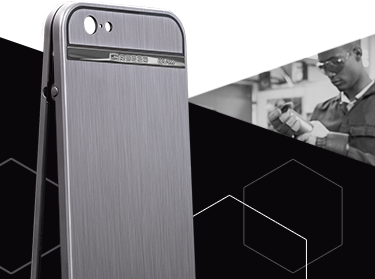 Gresso’s iPhone 7 Titanium Case is meticulously designed for secure protection and an upgraded luxury experience. 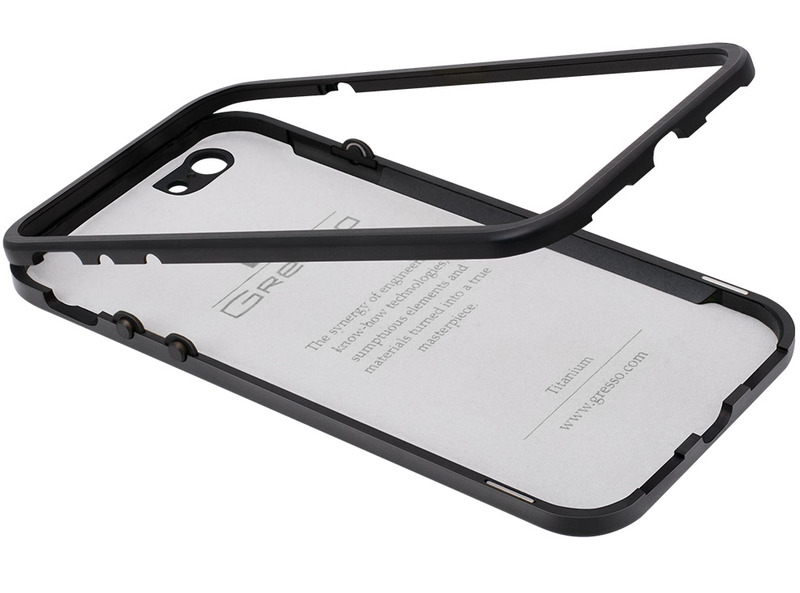 The case is impressively engineered with Gresso’s patented magnetic lock system. Maximum convenience. The case opens and closes in one motion. All ports are easily accessible. Patented technology. 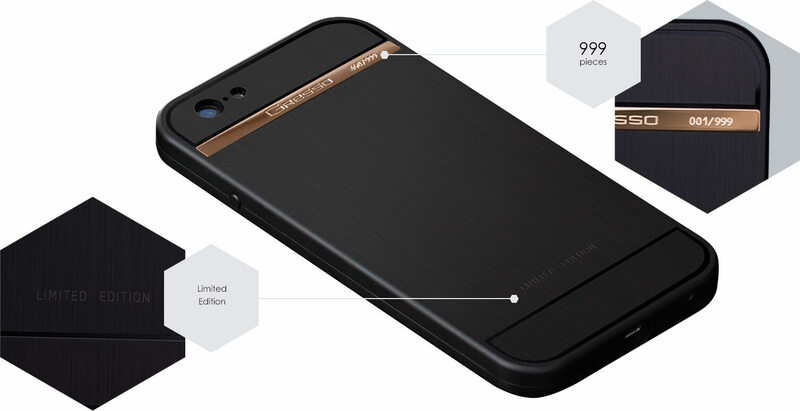 The back panel is made of a single plate of grade-5 titanium that is 2mm thick. The edges of the phone are also shielded by the titanium frame, giving your iPhone 7 the highest level of protection. 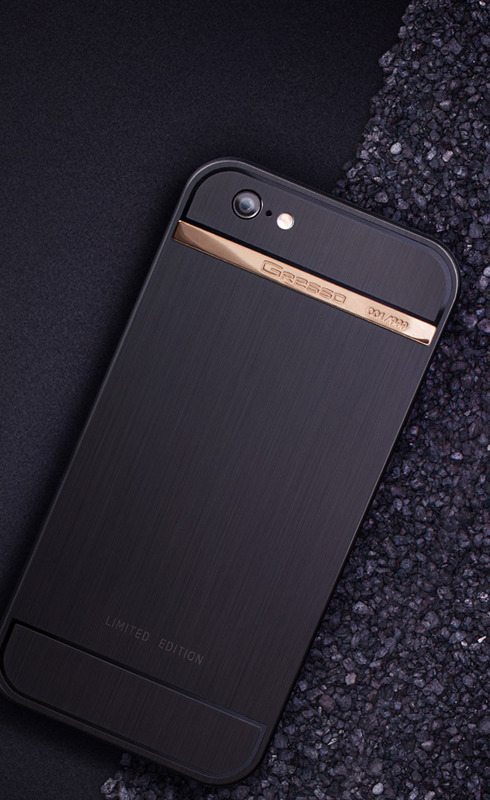 Premium materials such as 18k gold and grade-5 titanium offer unparalleled luxury. The body is made from a single plate of grade-5 titanium. 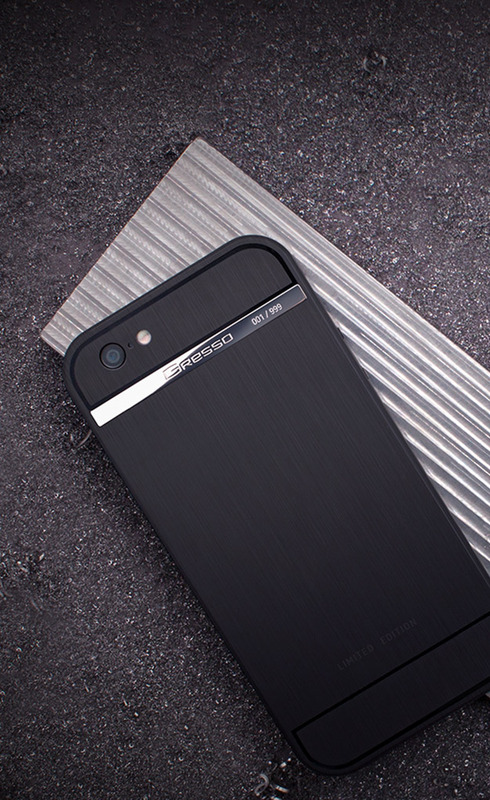 This increases the phone’s durability and protects the integrity and strength of the metal. Grade-5 titanium is recognized for its unique protection properties and lightness, and is widely used in the aerospace industry and in high-end sport cars. 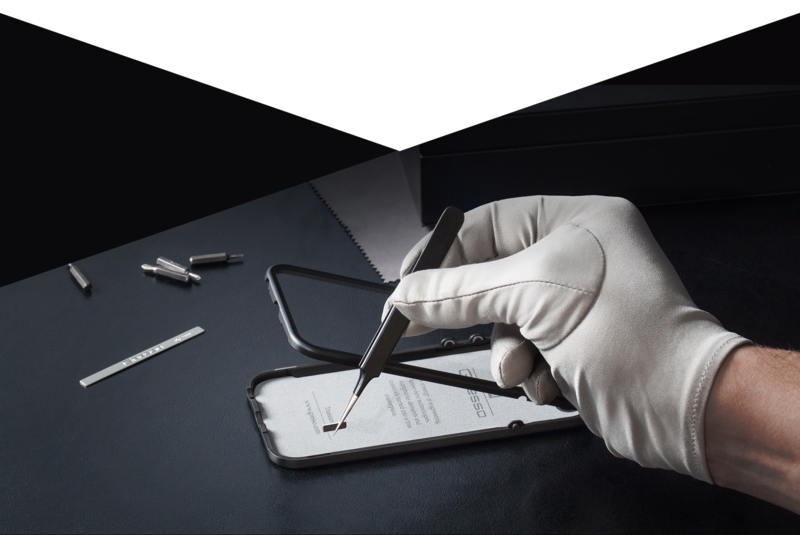 Our one-of-a-kind titanium machining and milling process can take up to 8 hours to complete for each phone. Gold is the ultimate expression of luxury. 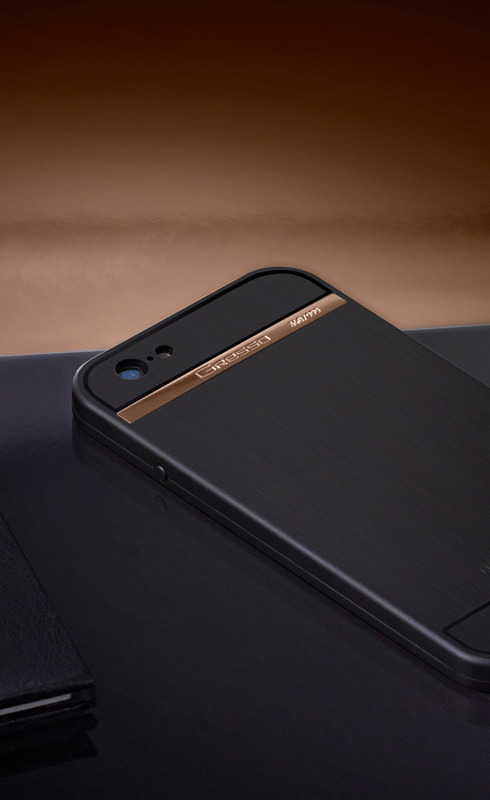 The case’s back panel is accented with an 18k gold or titanium insert. The deep black color is achieved using PVD-technology, which evenly coats the phone with a perfect finish using extreme heat and vapor. PVD-coating is also widely used in Swiss jewelry and watchmaking. Each case is individually assembled by our expert craftsman, and then hand polished to create the perfect satin finish. The Luxury Minimalism style seeks harmony of both form and function. The lack of spare parts, elegant style, and innovative engineering result in unparalleled design. Each case is unique and handcrafted. The individual serial number is engraved on a gold insert on the back panel. You can select a specific number from the 999 pieces when finalizing your purchase. 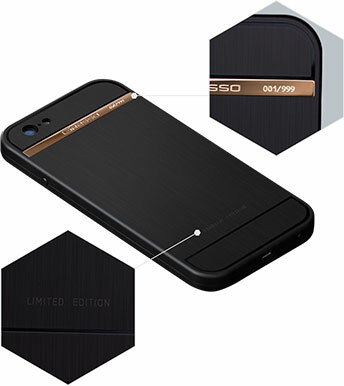 Gresso Regal Case Collection is packaging in a high-quality black leather case.